Applications are invited for The Indian Partner Arts Scholarship to recognise academic excellence for Indian students at Macquarie University in Australia. The Macquarie University is a public research university based in Sydney, Australia, in the suburb of Macquarie Park. While only 50 years young, Macquarie has risen to be a progressive and influential institution both locally and internationally. Our campus brings together 40,000 students and 2000 staff in one thriving hub of discovery. 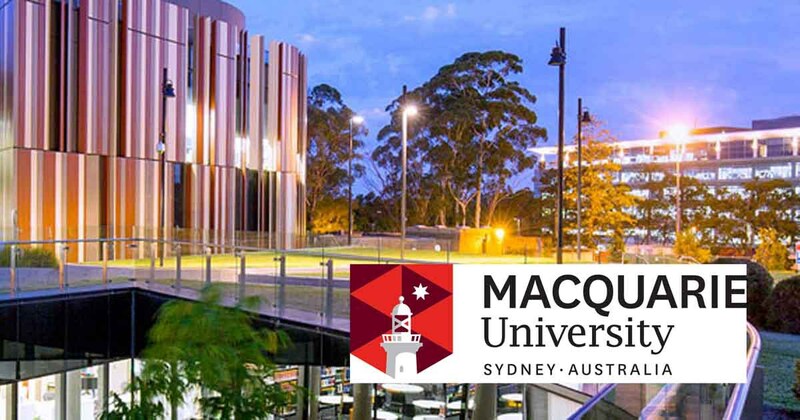 In order to be eligible applicants must meet the Academic and English requirements for a Macquarie University Bachelor or Postgraduate Coursework Degree. Applications Deadline: For programs commencing in: Session 1 2019 (Feb): December 21, 2018 and Session 2 2019 (July): June 14, 2019. Study Subject: Scholarships are awarded to study any postgraduate program in the Faculty of Arts at Macquarie University, including the dual masters. Scholarship Award: The Award covers 50% of the total tuition fee to study any postgraduate program in the Faculty of Arts at Macquarie University, including the dual masters. Nationality: Scholarships are available for Indian students. Eligible Countries: Scholarships are available for Indian students. Be accepted into a Macquarie University Bachelor or Postgraduate Coursework Degree commencing in 2019. Accept your Admission Offer and pay by the deadline. English Language Requirements: Applicants must meet the Academic and English requirements for a Macquarie University Bachelor or Postgraduate Coursework Degree. How to Apply: Please contact the International Office at your institute to nominate you for this scholarship or email mi.india-at-mq.edu.au for more information.